Nature versus nurture: What's your opinion? We are all familiar with the role genetics play in shaping our physical appearance. You might have inherited your mother’s green eyes or your father’s broad shoulders. We too understand how genes influence our risk or resilience to developing various conditions. In previous The Genetic Link blog features we’ve linked genes with substance abuse, cancer, epilepsy and tropical diseases. But what I’ve been pondering lately is how and to what extent our unique genetic code is involved in making us who we are by shaping our personality, behavior, social interactions and thought processes. Perhaps you’re familiar with the idea of nature versus nurture, or gene versus environment studies. What I want to know is how much of who I am is due to my genetic make-up versus how much is a result of that complicated mix of my early experiences, social and cultural influences, family interactions, education…in other words, my environment? These almost philosophical questions are tackled on a daily basis by psychologists, psychiatrists and neurologists; and I am absolutely riveted by this research. 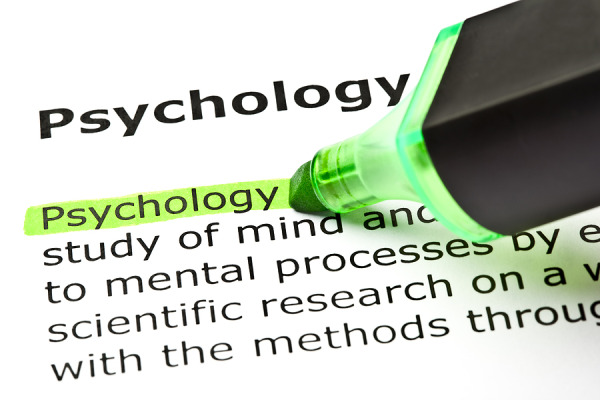 Psychology literally translated means ‘the study of the soul/spirit’. This branch of science is focused on understanding the human mind and its functions. With increasing numbers of studies suggesting that genes influence the function of our neurobiological systems and biological mediators, which in turn modulate our behavior and thought processes, it is clear that genetics play an important role in psychological research. In fact, of the more than 400 peer-reviewed journal articles where the Oragene self-collection kits (DNA Genotek) were used to provide DNA from saliva, roughly one third were from psychology-related studies. Recently in Development and Psychopathology, Bradley B et al.1 examined the involvement of a candidate gene and early-life stressors and childhood maltreatment with the development of adult emotional dysregulation and unstable attachment style. The genotype of interest was an oxytocin receptor (OXTR) single-nucleotide genetic polymorphism (rs53576) previously shown to mediate the physiological and behavioral effects of oxytocin. The study population consisted of 1,632 low-income, African American men and women between the ages of 18-90 residing in an urban environment. This population was recruited as part of the Grady Trauma Project, which was a 5-year NIH-funded study of risk resilience factors related to post-traumatic stress disorder (PTSD). Questionnaires and self-report scales were used to assess traumatic events, childhood abuse, emotional dysregulation and adult attachment style. All DNA samples used for genotyping were non-invasively collected and extracted using Oragene self-collection saliva kits. Interestingly, this study found “no direct association between rs53576 and emotional dysregulation or ratings of adult attachment style." However, they did find "significant interactions between rs53576 and childhood maltreatment in predicting level of adult emotional dysreglation and attachment style.”Specifically, homozygous G/G allele carriers were at risk for increased emotional dysregulation when exposed to three or more categories of emotional abuse. This subset also had a more disorganized adult attachment style when exposed to severe childhood abuse compared to homozygous A/A and heterozygous G/A allele carriers. This observation is important as both the secure attachment style and ability to manage emotions are factors that predict adaptive functioning and mental health. Additionally, data from this study supports the idea of ‘differential susceptibility’ to environment suggesting that “the same genetic factors that impact sensitivity and susceptibility to negative/adverse environmental influences also impact sensitivity to positive/enriching environmental influences." Therefore, using this model, it is possible that individuals harbouring the G/G genotype of OXTR rs53576 may be more susceptible to stressful and threatening environments, but potentially also most likely to respond to positive/enriching environments. It is important to consider these findings in a social context, since the study population was quite specific. Ultimately, though, understanding/identifying the psychosocial and neurobiological processes involved with the associations between adverse childhood experiences and later risk/resilience is crucial in developing effective treatment strategies, as well as identifying individuals most likely to benefit from interventions. In my opinion, the answer to the question of nature versus nurture is likely not simple; but rather a complicated mixture of both. What do you think? Leave a comment and let us know. 1 Bradley B et al. Association between Childhood Maltreatment and Adult Emotional Dysregulation in a Low-income, Urban, African American Sample: Moderation by Oxytocin Receptor Gene. Dev Psychopathol. 23:439-452 (2011).